New! Free Standard shipping on orders over $110! 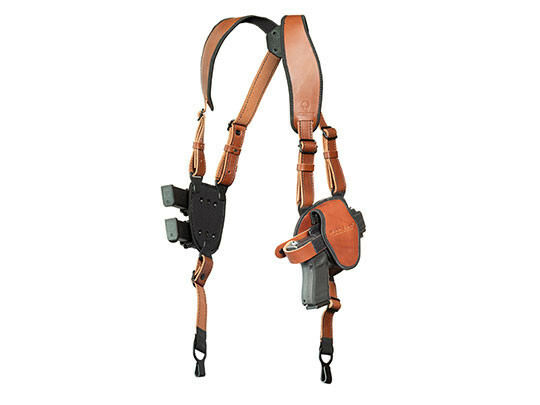 What's been stopping you from carrying with a Taurus PT140 Millennium G2 shoulder holster? It's a perfect gun to do so with. It's compact, slim and holds ample firepower despite the compact size. 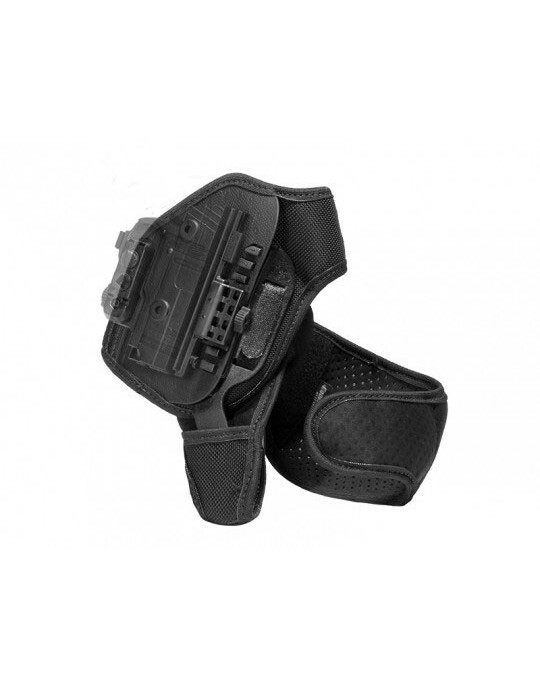 Comfort is usually a concern when it comes to a shoulder holster for Taurus PT140 G2 pistols. Worry no more. 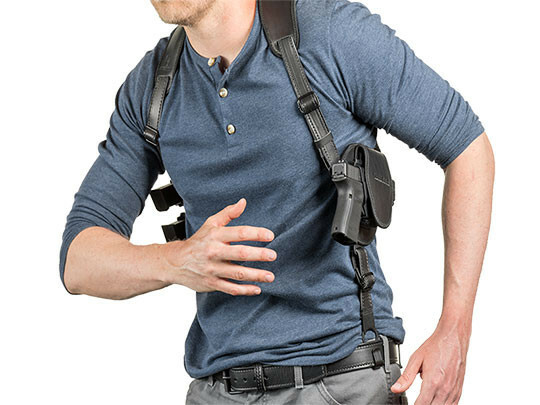 Our shoulder holster features padded straps for incredible comfort, and a clover harness that lets the straps find a natural, comfortable carry position but allowing the holster to move with you. 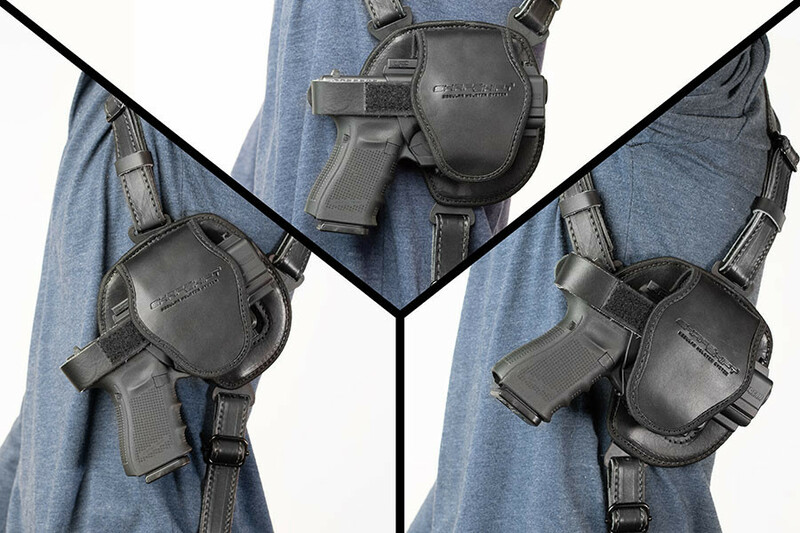 Weight distribution isn't an issue either; the shoulder straps hook to the belt, which also keeps the gun closer and aids in concealment. 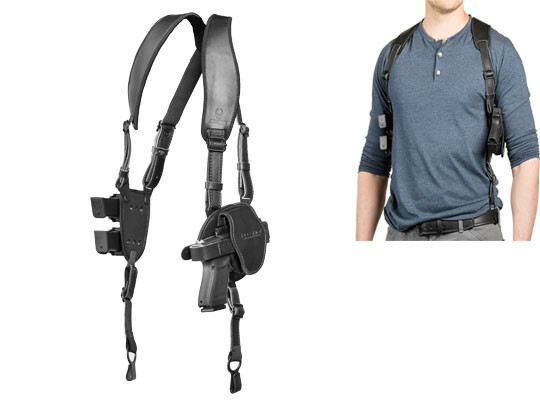 You also get a lot more adjustability our Taurus PT140 G2 shoulder carry holster compared to competing designs. 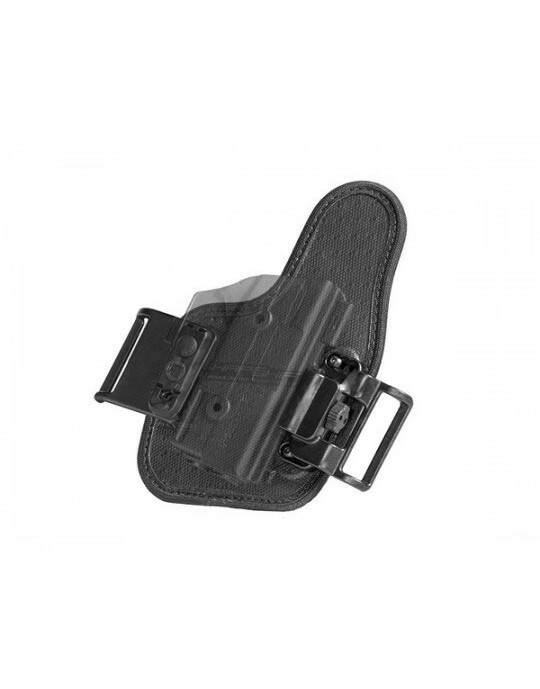 The holster can be moved up and down, so you can find the perfect carry position. Cant angle is also adjustable, so you can carry with the gun at a horizontal angle, with a positive or negative tilt, or fully vertical. Notice the mag carrier pad. There are two docking splines that can be used to attach up to two Alien Gear Cloak Mag Carriers so you can spare magazines along with your pistol. 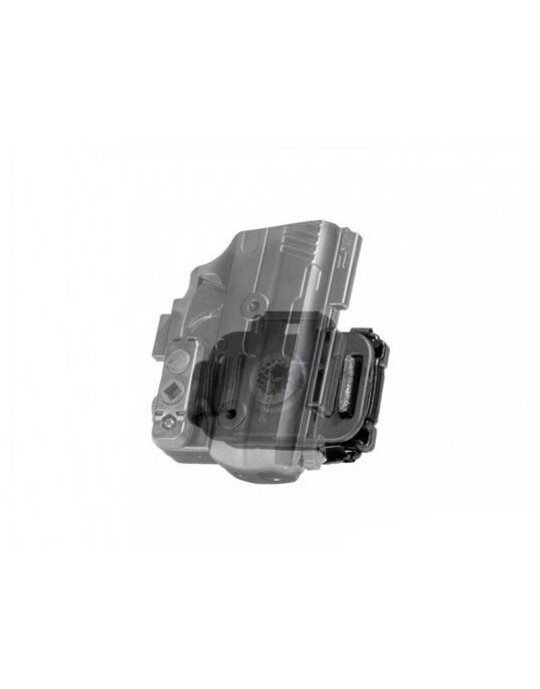 The holster itself is the ShapeShift shell in the half-shell configuration. 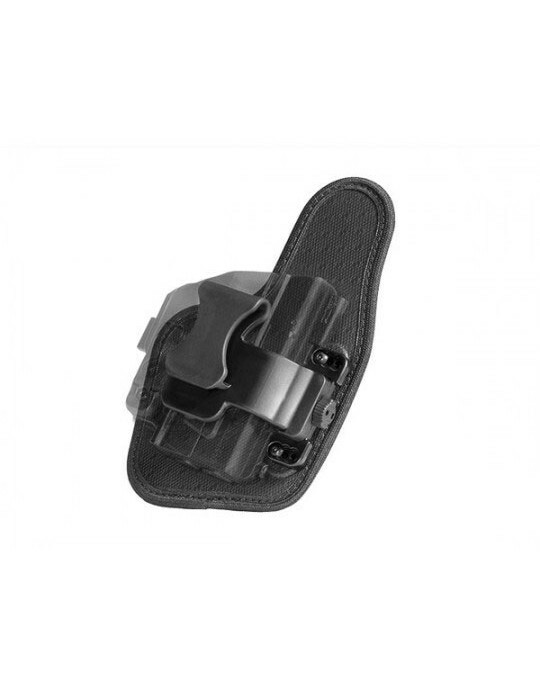 Fitment isn't a problem; this holster is custom-molded for your make and model of firearm. 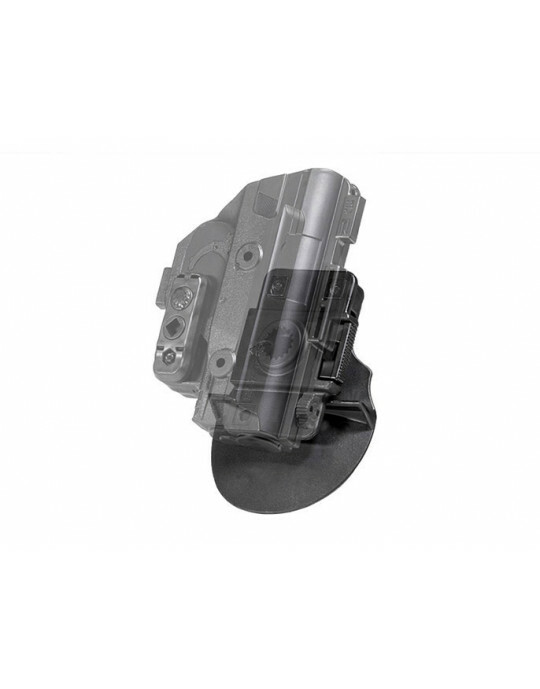 Passive retention is fully adjustable so you can get the hold you prefer. We also include a thumb break should you wish to use one; it can be removed if you don't. But you don't have to entirely take our word for it. 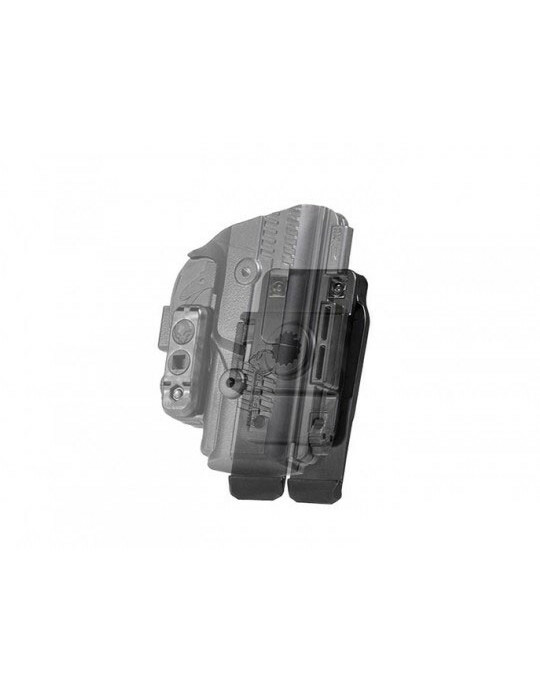 Alien Gear's Iron-Clad Guarantee on holsters includes a 30 Day Test Drive trial period, during which you can return the holster for a full refund if unsatisfied. 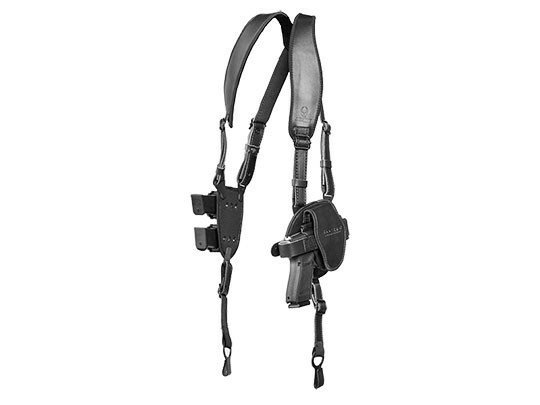 We also back your PT140 Millennium G2 shoulder holster with a full and comprehensive lifetime warranty, against any damages or defects. 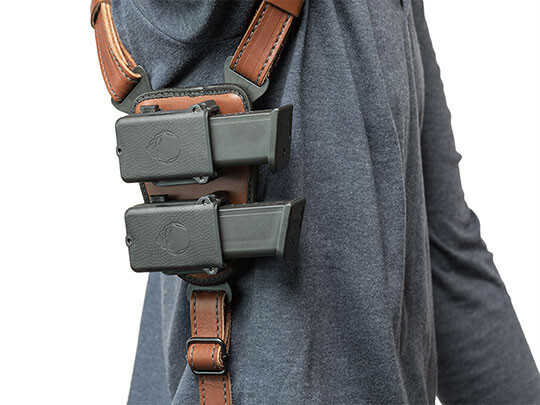 The question now is why aren't you carrying with a shoulder holster? See bundled savings in cart! 'What's New' Emailer Now Available! Sign up for our 'What's New' emailer and be alerted when new products are available! Can't find what you're looking for? Let us know. What would you like to see next from Alien Gear? Alien Gear Holsters is bent on crafting the world's best concealed carry holsters on the planet. Any planet.